Amazon Business can provide exposure and revenue to B2B merchants. The downsides include the inability to communicate with customers and limiting the long-term value of your company. Amazon Business, the B2B marketplace, has more than 45,000 active sellers and more than 10 million products with bulk purchase options or business discounts. Many B2B merchants aren’t sure whether to sell their products on Amazon Business. I’ll address the pros and cons in this article. Eyeballs on your product. A lot of people use Amazon. As of January 2017, Amazon Business had 400,000 customers. According to a study commissioned by BloomReach, the digital-experience platform, more consumers start their online product search on Amazon than on Google. Shoppers are comfortable with Amazon. 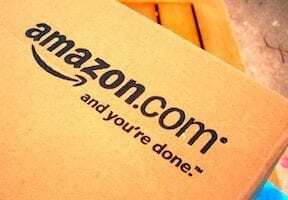 If you are already selling your products on Amazon’s consumer site, they will be available on Amazon Business. Strong B2B features. Amazon reportedly spends more than $13 billion per year on research and development. Its site has a compelling user experience that has been tested and tweaked to maximize sales. Amazon Business offers specialized features to business sellers, including quantity discounts, business pricing, integration with procurement software, and tax-exempt purchasing. Simplified fulfillment. Amazon can fulfill your orders, if you choose, via Fulfillment by Amazon. You would ship your products to an Amazon warehouse. Amazon will then store those items and pick, pack, and ship them when they sell. In addition, for Fulfillment by Amazon customers, Amazon handles many aspects of customer service, such as refunds and returns. Highlighting diversity. If you are credentialed as a small business, or if your business is owned by a female, a minority, or a veteran, you can list that credential on your profile. Business buyers can then refine their product search results to see, for example, products sold by female-owned businesses, or registered small businesses. Selling products on Amazon Business can generate substantial revenue. However, there are downsides. Giving up margin. Depending on the product category, you could pay from 6 to 15 percent in fees, with a few exceptions for items that are typically not sold as business products. This does not include fees for Fulfillment by Amazon. Seen as a commodity. You have less opportunity to build relationships with buyers or differentiate yourself from competitors. On Amazon Business, buyers can easily search for the lowest cost vendors and purchase from them. Limited communication with buyers. Amazon limits how sellers can communicate with customers. This includes rules around what you can include in packages that is shipped to customers. Amazon considers them as its customers, not yours. This makes it difficult for customers to be aware of your brand and gives you less control of the relationship. Data and administration. Getting product data into Amazon can be a lot of work. Each product category has its own rules. How your product data is set up has a large impact on how visible your products will be, and how likely they are to be sold. Manufacturers and distributors often ask if they should set up their own ecommerce site, or sell on Amazon. The answer can be “both.” Amazon can play an important role in your business strategy, but without your own site, you will be forced to sell largely on price, and you will have less ability to create a customer relationship. Having your products on Amazon increases their visibility, and some buyers will seek out your company for things that Amazon does not provide, such as assistance in selecting the correct items and support in using them. The key is to develop a strategy around how your website will offer value to customers in ways that Amazon does not. There are many ways to sell products on Amazon to complement your own store. You can, for example, sell only a subset of your products on Amazon. You can use it to test new items, or to see how online ordering fits your products. Regardless, to build long-term value for your company, develop strategies around growing sales from your own website.